The first of the Stats Accumulator comes from Ireland and we are going with last seasons chasing superstar Footpad to get his six year old campaign under way with a win at Naas in the Grade 3 Poplar Square Chase. Footpad last season was just remarkable being unbeaten in all five of his chasing performances with his best performance coming at the Cheltenham festival in the Arkle Trophy. Looking to stay unbeaten and this season be even better than he was, he has a perfect chance to do this with Ruby Walsh in the saddle for Willie Mullins with that partnership known for being one of the best forces in the world of racing and over the last year they have run at a strike rate of 33.33 percent. Walsh himself over the lat 14 days is running at a strike rate of 22 percent and Mullins at 26 percent. This horse could be this years King George winner and is the one to beat in this race. The second race of the day comes from Wincanton in what is there biggest race day of the year and we have gone for Litterale Ci trained by Harry Fry to place in the Class 2 handicap hurdle over 2 miles 5 furlongs. The J P Mcmanus owned five year old has done really well so far this season with some good come back efforts with his last one being his best when winning at Newton Abbot in a Class 2 handicap. Harry Fry is in flying form at the moment currently running at a strike rate of 29 percent for the last 14 days, Jockey in the saddle Aine O'Connor also has a great record over the last two weeks with a strike rate of 33.33 percent. When this pairing team up they are a force to be reckoned with as over the last 12 months they have been working at a 44.44 percent strike rate. The penultimate horse in the Stats Accumulator today comes over the flats at Doncaster in the Class 1 Listed Wentworth Stakes over 6 furlongs and we have chosen Donjuan Triumphant to finish in the top three. This Andrew balding trained horse has been really competitive this season in Group 1 company, last team finishing a good third at Ascot on British Champions Day in the Sprint Stakes. He should have to much for this field with the way he has run in better company and also the jockey on board is James Doyle who is running at a 37.5 percent strike rate over the last 14 days. With this, he very rarely rides for trainer Andrew balding but when he does they are posing a 29 percent strike rate. 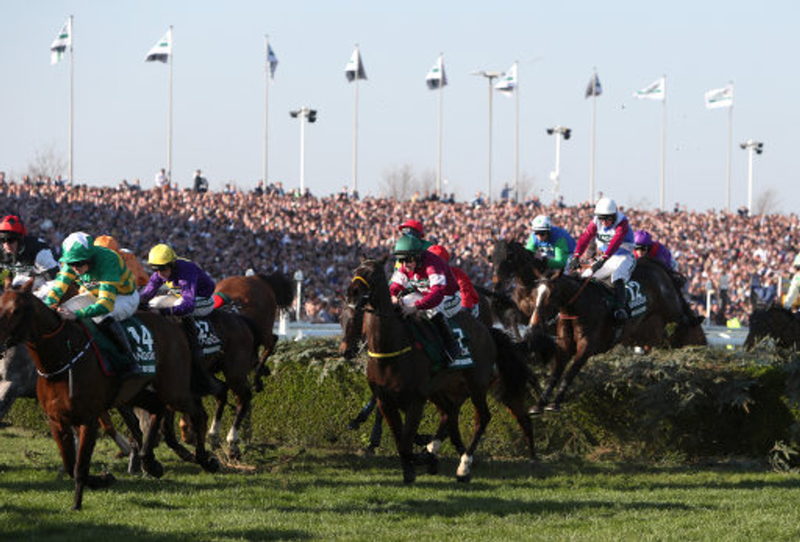 The last horse in the Stats Accumulator comes from Aintree in the Class 2 handicap chase over 2 miles 4 furlongs in which is the feature chase race of the day at the home of the Grand National. We have selected the Harry Fry trained Hell's Kitchen who is making his seasonal reappearance after having a very decent campaign last season beating some very good jumpers. Harry Fry is in flying form at the moment currently running at a strike rate of 29 percent for the last 14 days, this is exactly the same for jockey on board Barry Geraghty who is running at the same rate for the last two weeks. J P Mcmanus owns this horse when teaming up with this trainer they are running at a strike rate of 30 percent for the last 12 months, he has a great chance tomorrow.